Betaalbare en volledig ingerichte accommodatie in een rustige buurt op basis van Peak 9. Vijf minuten lopen naar de pistes en het historische centrum van Breckenridge skiën. Grote eenheid met volledige keuken en gashaard. Begane verdieping einde unit. Op steenworp afstand van gratis shuttle bushalte. Verwarmd buitenzwembad en hot tubs op steenworp afstand van de unit. Geniet van alles dat Breckenridge te bieden, het hele jaar door heeft. Gelieve attent ... dit is een NIET-ROKERS eenheid. Dank je! Great condo in Breckenridge! Close to the lifts and town. We really enjoyed our stay at Warrior's Mark. The condo was very clean. We really liked the location. We were able to walk to the lifts. 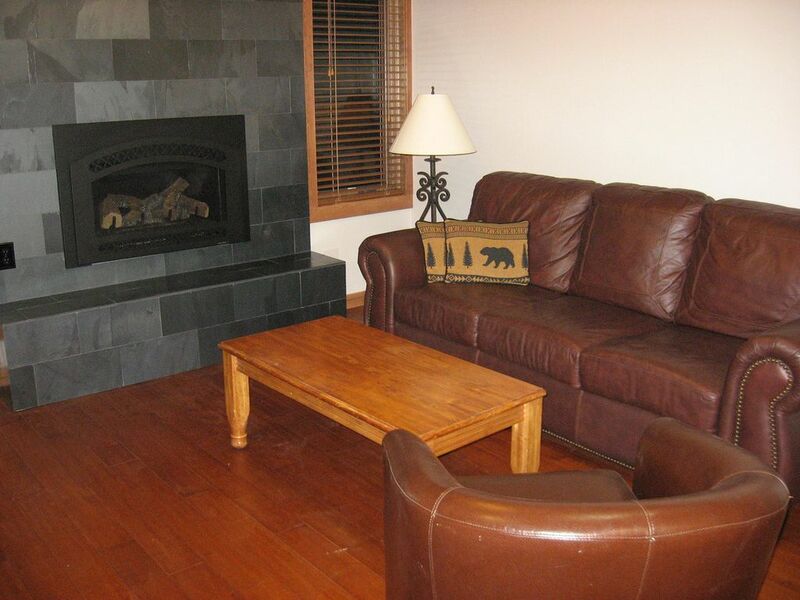 Wonderful condo, fully equipped and great ski week! I have stayed in many condo’s this one was the most equipped ever, from kitchen to shower! Comfortable beds, sheets and towels. We had great weather skiied every day. I do recommend getting a locker st the Maggie to store your ski boots overnight as it was too far for me to walk comfortably in them to the lifts, I know I am a bit spoiled! The only negative I can comment on was the ceiling creaks at every movement when upstairs people move about the unit, shower etc. If there had not been upstairs tenants it would be a perfect 10. Unfortunately the were up late each evening and up early each morning, at times I thought people were actually in my bedroom, lol! We had a lovely week in Breck with historic snowfall! The condo was spacious, modern, and comfortable. I really appreciated the washer/dryer! The owner was very responsive and pleasant We were even blessed by 2 moose right in front!!! The walk to the lift was easy for the guys, but living at sea level with bad knees I found it a bit much. The bus was a block away. Great location to stay in Breckenridge! Very nice property, we look forward to coming back. Super convenient with great amenities! The condo was clean, convenient, and perfect for my boys and I. Well stocked, great location, and the pool and hot tubs were awesome.